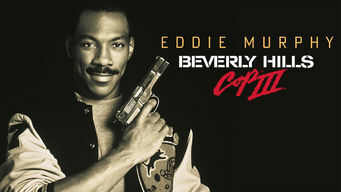 How to watch Beverly Hills Cop III (1994) on Netflix France! Sorry, Beverly Hills Cop III is not available on French Netflix, but you can unlock it right now in France and start watching! With a few simple steps you can change your Netflix region to a country like Panama and start watching Panamanian Netflix, which includes Beverly Hills Cop III. We'll keep checking Netflix France for Beverly Hills Cop III, and this page will be updated with any changes. Beverly Hills Cop III is not available in France BUT it can be unlocked and viewed! When the trail of his boss's killers leads to Southern California, Detroit cop Axel Foley again teams with Los Angeles detective Billy Rosewood. It seems like an ordinary theme park, but this cop knows something's fishy. Detroit's best is back in the Hills. There is a way to watch Beverly Hills Cop III in France, even though it isn't currently available on Netflix locally. What you need is a system that lets you change your Netflix country. With a few simple steps you can be watching Beverly Hills Cop III and thousands of other titles! Watch "Beverly Hills Cop III"